School Term Break is here, or will be coming real soon for others! 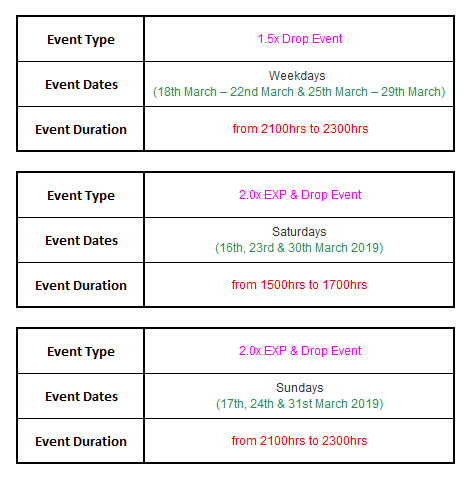 Here’s some EXP & Drop events coming your way while you take your break! Remember to not just work hard, but play hard as well!